Former Secretary of State Dan Gwadosky in 2001. 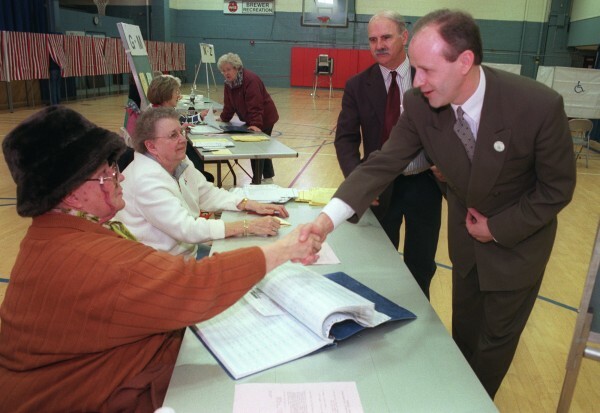 Dan Gwadosky, Maine's secretary of state at the time, thanks Brewer ballot clerks in 2000. Longtime legislator and former Secretary of State Dan Gwadosky of Fairfield died Wednesday morning after a long battle with pancreatic cancer. He was 57. Gwadosky, a Democrat, was Maine’s 46th Secretary of State under Govs. Angus King and John Baldacci from 1997-2005. His selection by the Legislature in December 1996 was unusual in that Republicans did not offer an opposing candidate and concurred with his nomination. He also served as assistant majority floor leader and house majority leader and as director of the Bureau of Alcoholic Beverages and Lottery Operations starting in 2005. 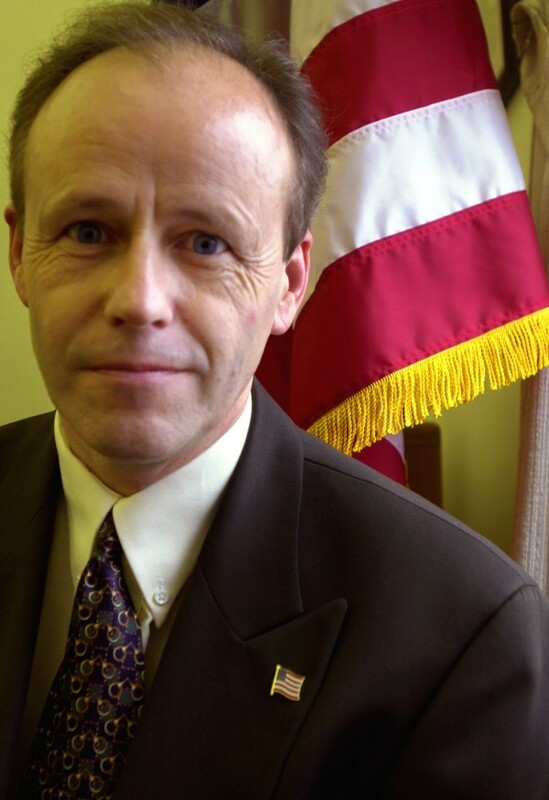 Before being sworn in as secretary of state, he served 18 years in the Maine House of Representatives, including as speaker of the house from 1994 to 1996. Martin said Gwadosky was instrumental in helping create the community college system as the state knows it today. He aimed to use technology to make things easier for citizens. As secretary of state he created more than 20 online services including auto registration and driver license renewals, vanity plate searches, absentee ballot applications and archival record searches. Statements from Sen. Olympia Snowe, former Gov. John McKernan, U.S. Rep. Mike Michaud and members of the Maine Legislature remembered Gwadosky’s service, leadership and sense of humor. Gwadosky earned a Bachelor of Science degree in Management and a Master’s degree in Computer Technology from Thomas College in Waterville and attended Lawrence High School in Fairfield. He is survived by his wife Cheryl and two children, Joshua and Jessica.